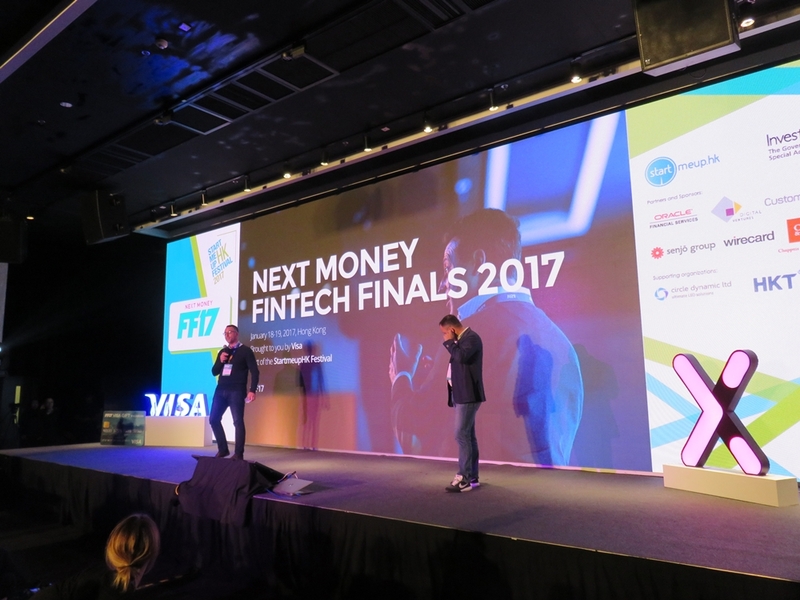 On the third day (19 January) of Banking Technology’s tour of Hong Kong, given to the international media by the Government of the Hong Kong Special Administrative Region, we witnessed start-ups pitch for a $10,000 prize (US dollars!) and venture capital experts share a few tips. On Tuesday (17 January), the region told its citizens and the world that start-ups are welcome to do business and capitalise on the nation’s entrepreneurial spirit. While on Wednesday (18 January), a visit to the Hong Kong Science and Technology Parks Corporation (HKSTP) showcased what start-ups could gain by setting up operations there. In two mammoth sessions, all part of the StartmeupHK Festival held at PMQ on Aberdeen Street, 24 start-ups from across the world had six minutes to sell their ideas and win over the judges. Far too many to mention, but Ayannah and the three other winners may well be of interest to the fintech world. The best early stage winner went to Bambu from Singapore. It was a very smooth presentation with a neat elevator pitch right at the beginning, which no one else did. The firm offers a B2B robo-advisor for wealth management. BIMA, based in Sweden, is a provider of mobile-delivered insurance in emerging markets. Its theme was one of financial inclusion and the firm says people can get registered in less than two minutes. For this concept it was awarded the best mature stage start-up. New York-based DarcMatter shone and won the best growth stage award with its investment platform for alternative investments. JP Morgan is already a backer – so it’s not doing too bad. The overall winner, or best in show, was the aforementioned Ayannah. The name, according to its website, means “a beautiful flower” or “beautiful blossom” in Swahili. It also means “innocent” in Hindi and “a good path” in Sanskrit. Mikka (aka Miguel) Perez, the CEO and founder, did a fine presentation to show how it has grown and he explained the services it offers. One service includes Sendah Direct, a Software-as-a-Service (SaaS) platform that partners with brick-and-mortar retailers to offer mobile top-ups and domestic remittance. This B2B payment service has been adopted in over 7,000 retail outlets since its launch in October 2010. While it didn’t win, Hong Kong-based Clare.ai deserves a mention. It’s building a white-label chatbot to help banks do customer service. Having visited this region, I want to hear more about start-ups in Hong Kong. The 400 attendees at PMQ seemed impressed by all the firms and they are names to watch. We’ll be keeping an eye on them. In a good way. Also during the day were two separate venture capital panels, which threw up a few points of interest and consensus. Blockchain and artificial intelligence (AI) were cited as “exciting things” in the next two years to invest in. The view is that blockchain “finally becomes a reality after years of hype” mainly due to its ability to “track every different asset class” and the rise of consortia. The best speaker on the panels was Dusan Stojanovic, founder of True Global Ventures, who says it’s “very easy to invest money but hard to get out”, because entrepreneurs and investors “don’t get it”. In his view, they should spend 25% of their time on getting the deal and 75% on the valuation and their exit strategy. When asked for his approach to revenue figures, Stojanovic says he discounts 90% of the revenue men quote, but for female entrepreneurs that discount goes down to 50%. That’s because “they’re realistic”. Jie Gong of fund manager Pantheon, gave some opinions on the Asian region. Such as “traditional Chinese banks take a positive view of fintech” and believes that DBS Bank and Standard Chartered have their own innovation and accelerator programmes “because they want to acquire the start-ups”. She says the big banks have the data which “underpins success”. It seems start-ups have to watch out… despite winning. 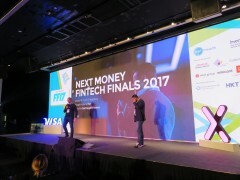 There will be a final report on Hong Kong’s fintech space as Banking Technology is here for one more day (20 January). Round led by Franklin Templeton Investments. Singapore-based B2B robo-advisor Bambu has completed a funding round, featuring a strategic investment from Franklin Templeton Investments and venture capital funding from Wavemaker Partners, part of the Draper Venture Network. Two wealthtech companies from opposite sides of the globe have built upon their partnership. 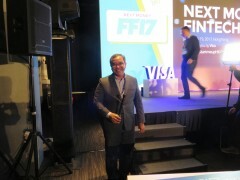 In fintech, when the going is good, the good go global.